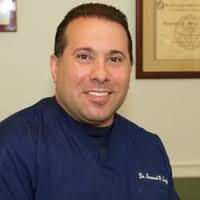 Dr. Silverberg is proud and happy to report he is the top rated podiatrist in all of New York City. Dr. Silverberg is also proud to report he has the most reviews of any podiatrist in NYC in Google places. Every one of his reviews are glowing and many of them are truly touching success stories. For example, one of them thanked me for allowing her to exercise by relieving her foot pain with orthotics, lose weight and allowed her to stand for long periods of time in chef school, her life dream. Another thanked me for seeing her on short notice to put her fractured toe back in place, in my office, so she could wear heels only days later at her wedding. Many others thank me for performing their foot surgery to fix their foot problems and return to pain free life. Many report how surprised and amazed that they had little to no pain after their foot surgery. Thank you to all my patients that took their time to write reviews of me.